A woman who suffers from an unfortunate case of dietary issues was left humiliated after the waitress who served her left an unsavoury comment on her bill. 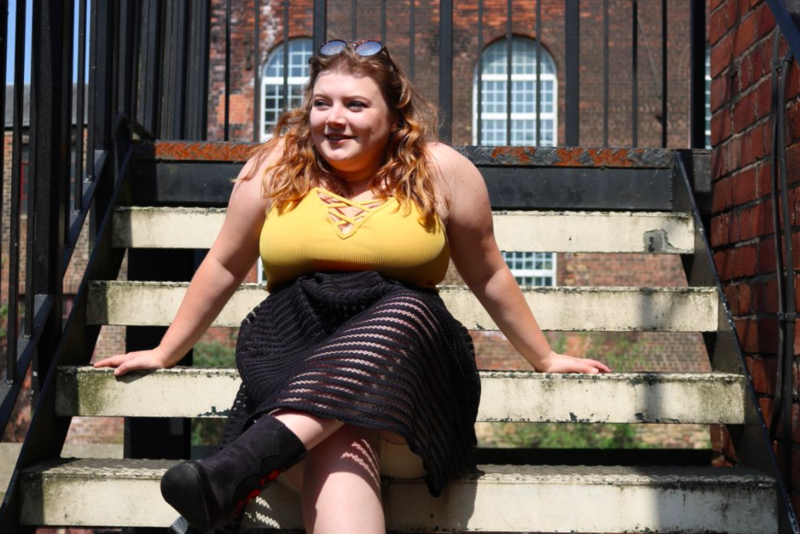 Sheffield-based food blogger Billie Geena has anxieties about dining out and had fears of being mocked due to her Irritable Bowel Syndrome (IBS). Because of this Billie has had to stick to a strict diet to help prevent stomach aches and severe cramps, something the waitress at the Amigos Mexican Kitchen, in Sheffield, made a joke about in the kitchen. Around two in ten people suffer from IBS. It can be a strain on your everyday life, as well as the people you live and socialise with, as special consideration must be taken for dietary needs. During her meal at Amigos Mexican Kitchen, back in May, Billie ordered a fillet of sea bass from the menu and requested it contained no onions, garlic or milk. She found the meal to be lovely and her evening was going well until she received her bill. However, it wasn’t the price or the service charge which upset her. Instead, it was what was written on her bill, mocking her dietary request, which she found ‘upsetting’, reports The Sun. The food was lovely and the service had been excellent. I’ve only been on this stricter diet for less than a year and it’s been difficult adjusting. I suffer really bad with IBS and about a year ago I had to follow a Low Fodmap diet to find out what causes my flare-ups to be worse. I found that onions, garlic, milk and all sorts of different foods that are triggers for me to be ill.
What happened brought back all the anxiety I’d had about going out for meals, and it’s really not on. She added the waitress and the restaurant owner apologised for the incident, and they explained to her the comment on her bill was meant to be a private joke between Billie’s waitress and the chef who cooked her food. Neither expected the crass comment to appear on her bill. While Billie holds no ill will to the waitress or the restaurant she posted the bill on her Twitter to highlight ‘how upsetting this sort of thing can be for people’. I don’t choose to be picky, I have to have a very restricted diet or else I am violently ill. If I could eat it, I would. Billie believes better training of staff, in terms of hospitality and etiquette, is important to ensure people in her position feel accepted and welcome whenever they eat out. I apologised personally and spoke to the member of staff, who was given a verbal warning. Nobody should make fun of people with food allergies or intolerances. I’m satisfied it was not the waitress’s intention to make fun of the customer but regardless of her intention this should never have appeared on the bill. We always try to give our customers as good an experience as possible and fulfil all their needs, and I’m very sorry about what happened on this occasion. I hope the staff at Amigos Mexican Kitchen learnt their lesson.